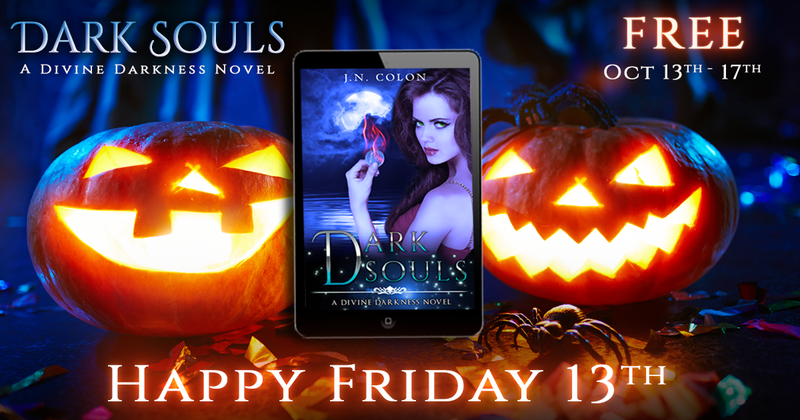 JN COLON: A FREE book for Friday the 13th! A FREE book for Friday the 13th! Friday 13th in the spookiest month of the year is something to celebrate! If you haven't started the Divine Darkness series, start now. The first book, Dark Souls, is FREE on Amazon for the next five days. Seventeen-year-old Hartley Walker has returned from a brush with death, and no one is able to melt the ice from her insides… except for the sinfully gorgeous god of the hottest place in the universe.